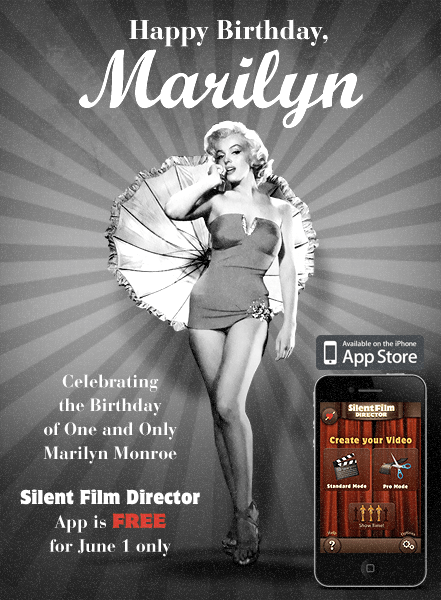 Today, June 1, MacPhun is making their popular Silent Film Director app FREE for 24 hours to celebrate the birthday of one of the silver screen’s most iconic starlets, Marilyn Monroe. The app lets you create your own silent films, complete with title cards and music, so grab the app now and explore your creativity. If you are curious to see what we thought of Silent Film Director, you can check our review of this app here.